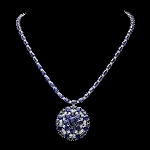 2952 points will be rewarded to you when you buy this item. 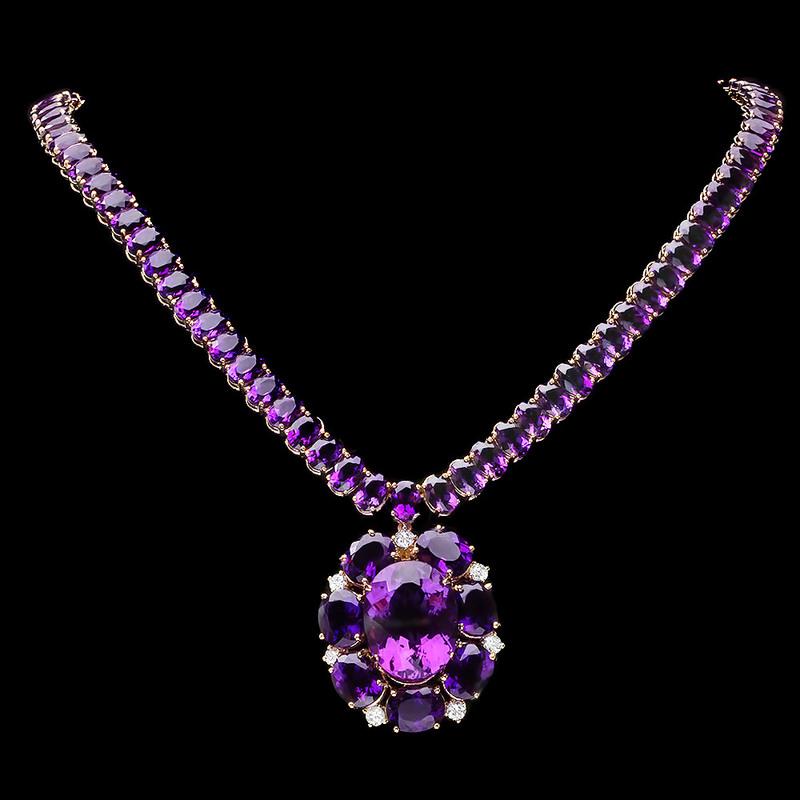 Designer Gemstone Necklaces: This Stunning Diamond and Amethyst Necklace weight approximately 28.56 gms and showcases 1 CT of dazzling round diamonds and 38.55 CT of Amethyst. 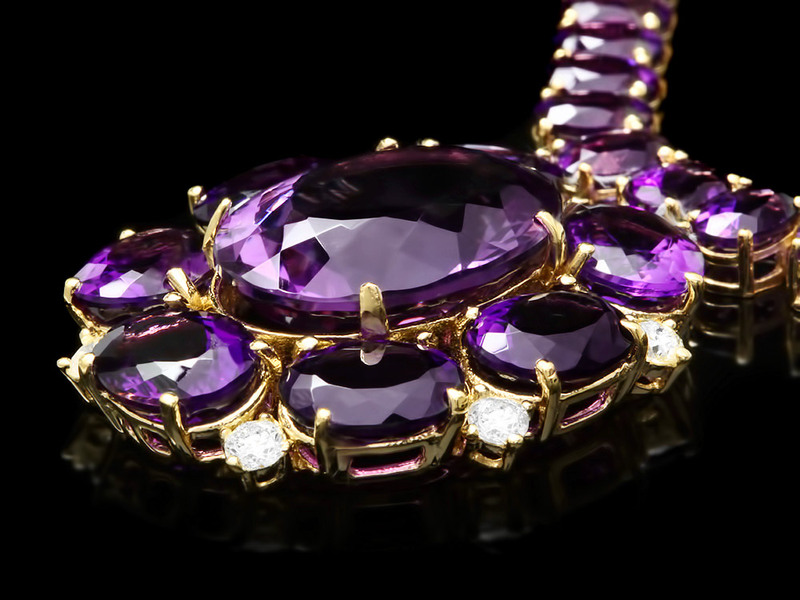 Featuring an intricate design and a highly-polished gold finish, this luxurious, one-of-a-kind Amethyst and diamond statement necklace is simply breathtaking!.